Gluten Free Pastry Cases with a Layer of Mixed Fruit Jam (10%) and Gluten Free Almond Flavoured Sponge (16%), Topped with Fondant Icing (29%) and Half a Glacé Cherry. 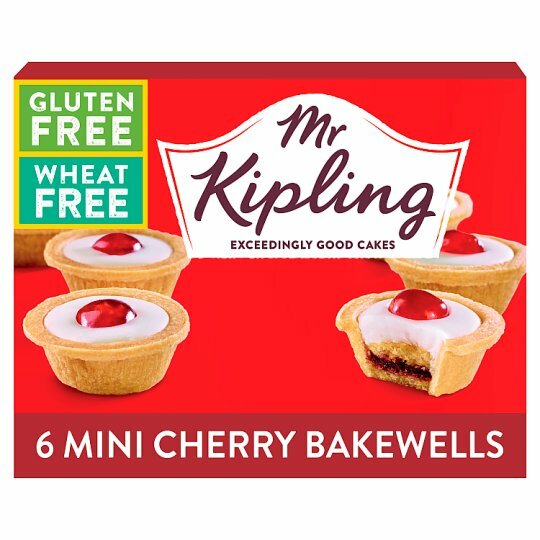 We want you to enjoy these Gluten Free Mini Cherry Bakewells at their very best. If you are not completely satisfied, or if you have any questions or comments, please retain the packaging and contact our consumer care team.